Richard has had over 25 years’ experience with NZ taxation, and particularly enjoys dealing with land tax issues and the GST regime. He deals with clients of all types and sizes and provides tax opinions on the appropriate treatment of items of income and expenditure, assists clients with IRD risk reviews and audits and can assist clients who are having difficulties meeting their tax payment obligations to make suitable repayment arrangements with the IRD. Here are snippets from Richard’s weekly email ‘A Week in Review’ over the last month. If you would like to receive them as they happen, please sign up for the weekly mail out here. Commented on in a pre-Xmas AWIR, the recently introduced Taxation (Annual Rates for 2019–20, GST Offshore Supplier Registration and Remedial Matters) Bill (114-1) has passed through its first reading and is now off to the Finance and Expenditure Select Committee for their tinkling once they have considered (if that’s the right word (ignored could be a better term??)) any public submissions on the Bill’s components. The Committee is due to report back in June 2019. In the week leading up to Xmas, IR released two Questions We’ve Been Asked (QWBA) to provide commentary surrounding the Commissioner’s views on the application of the bright-line rules to sales of lifestyle blocks (QB 18/17) and to the sale of a subdivided section (QB 18/16). 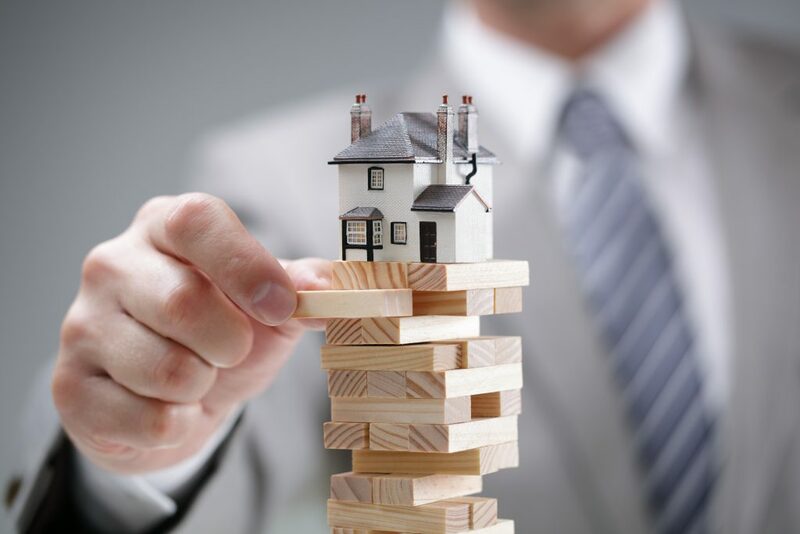 In relation to the sale of a lifestyle block, IR’s commentary suggests that there are two primary scenarios where the sale of a lifestyle block may be excluded from application of the bright-line rules. The first is where the land in question will satisfy the farmland definition, consequently excluded from taxation on the basis that the land is not residential land (the farmland exclusion), and second, where the lifestyle block cannot satisfy the farmland criteria to the extent it is still considered to be residential land, however the land qualifies as the main home of the seller and consequently taxation under the bright-line test is negated via application of the main home exclusion. You first need to consider whether any of the other land tax provisions apply to the sale of the land (e.g. section CB 6 – intention of resale) prior to considering a bright-line application, as bright-line only becomes relevant for consideration where the other land taxing provisions (with the exception of CB 13 & CB 14) will not apply to the sale. There are two components to the farmland exclusion – the lifestyle block is being worked in a farming or agricultural business carried on by the seller (which may require some analysis of the business test outlined in the leading case on the issue in Grieve v CIR (1984)), and, if not, is the lifestyle block, because of its area and nature, capable of being worked as a farming or agricultural business (and in this respect without any significant investment or modification being required to enable this use). When considering the main home exclusion, remember that there are two distinct requirements of the test – the land is used more than 50% for a dwelling that was the sellers main home (so considering the area of the land used for the dwelling, which must exceed 50%, but is not restricted to just surrounding curtilage if the seller can show other parts of the land were also used to enhance the enjoyment of the dwelling – e.g. areas for pet animals), and used for this purpose for more than 50% of the time the seller has owned the land (so no good trying to claim the exclusion by moving into the dwelling 12 months pre-selling, when you have already owned the land for 4 years). Do not forget the two exceptions to the main home exclusion – already used 2 or more times in the past two years, or where the seller has engaged in a regular pattern of acquiring/disposing of residential property that was their main home. Since we are dealing with subdivisions, and with the requirement to consider other land taxing provisions in advance of bright-line, clearly you will already need to have considered and excluded application of section CB 12 – minor subdivision rule. You will need to consider how the subdivided lot of land has been used since the new title was issued – e.g. left bare pre-sale and arguably therefore still used as part of the sellers dwelling, or developed with say a new dwelling constructed to be immediately sold, in which case the subdivided land will no longer be seen to being used with the seller’s dwelling. Under this latter scenario, the question will be answered via consideration of the total ownership period since the undivided land was acquired, and at what point in time did the subdivision occur (and therefore change the use of the land), with a view to determining whether the subdivided piece of land has still been used most of the time it has been owned (including as part of the undivided land) for the sellers main home. The main home exclusion exception, in that it can only be used twice in the previous two years. So for example, if three new lots have been created, and they are all sold at the same time, only two will qualify for the exclusion, with the third lot still subject to taxation under bright-line. Also released just prior to Xmas, is IR’s draft QWBA titled “GST – administration or management services provided by a collective body to its members” (PUB00325). The primary question IR looks to provide guidance on, is at what point a “collective body” may be required to register for GST? The draft answer – simply whenever the collective body’s annual value of supplies of goods and services exceeds the $60,000 registration threshold. So what exactly is considered to be a collective body, to which the QWBA will then apply? IR’s view – the term describes a body such as a committee, an association or a society (incorporated or unincorporated) established by a group of persons to manage or administer their shared interests. In this context, the body will not be established for profit-making purposes but rather for the members’ convenience or economic advantage. The commentary within the QWBA, examines the term “person” for GST purposes and states that this will include both companies (any body corporate having a separate legal personality) and an unincorporated body of persons – not defined in the GST Act, but taken to mean a body that exists as a collective entity; is formed for a defined purpose; has a name; has some sort of internal structure, likely comprising rules derived from agreement among the members; and has a changeable membership. Once the collective body has satisfied the “person” definition, the one remaining question (although with a number of components to it), is whether the collective body will be deemed to be carrying on a taxable activity. In this regard, the draft QWBA then provides commentary on the issue of whether the collective body will satisfy the “continuous or regular activity” test, whether the collective body will be seen to be making a supply of goods or services to another person, and finally, whether the goods or services will be provided for consideration. The QWBA provides two examples to demonstrate IR’s analysis, the first considering the scenario of an established residents committee which is to help with managing the upkeep of four freestanding townhouses and to provide a forum for addressing any of the resident’s concerns, particularly with respect to the tree-lined shared driveway, and the second, which considers the potential GST implications for a shared service provider arrangement entered into between four independent medical practitioners to share practice administration costs. Deadline for commentary on PUB00325 is 15th February 2019. IR has recently released an interpretation statement (IS 18/07) titled “Goods and services tax – zero-rating of services related to land”. Where services are provided by a GST registered person, to a non-resident who is outside NZ at the time the services are supplied, the services can usually be zero-rated (charged with GST at the rate of 0%) by the supplier. Up until 1st April 2017 however, zero-rating in these circumstances was not permitted, where the services were supplied directly in connection with land or personal property situated in NZ. In this regard, the main issue of contention that often arose between Inland Revenue and the taxpayer, was whether the services were “directly in connection with” the subject item, and many of you will remember the Wilson & Horton case that travelled as far as the Court of Appeal, which ultimately determined that the test was a fairly narrow one. The Taxation (Annual Rates for 2016-17, Closely Held Companies, and Remedial Matters) Bill amended the GST legislation, to reflect Parliaments view that in applying the destination principle upon which NZ’s GST system is based, other services provided to non-residents in respect of NZ land, should also be standard rated. Consequently, from 1st April 2017, services supplied in connection with land and intended to enable or assist a change in the physical condition, or ownership or other legal status, no longer qualified for zero-rating. Do not just assume someone is non-resident because they have never been to NZ. The residency test for GST purposes is in fact wider than that used for income tax purposes, and can include a person who carries on, in NZ, any taxable activity or any other activity, while having any fixed or permanent place in NZ relating to that taxable activity or other activity. IR’s view in this regard, by way of an actual example, is that a fixed or permanent place in NZ can include a rental investment property because it ticks all the necessary boxes. The intended purpose of the services should be considered from the recipients perspective, therefore a subjective test, although one to be tested against objective evidence. It is suggested therefore that suppliers may wish to retain evidence to support the basis of their understanding of the recipient’s subjective intention where the supplier has chosen to zero-rate the supply, at least in cases where it is not clear from the documentary evidence, what the services were intended to do. It may be that the recipient could be seen to have multiple intentions, and where this is the case (assuming there is just a single supply involved), the supplier should use the dominant element to guide how they treat the supply. If there is any doubt, IS 17/08 suggests the supplier should always standard rate the supply in the first instance, and make a subsequent adjustment should it transpire that treatment was incorrect. A recent Court of Appeal decision has confirmed that the simple fact of a director not paying the company’s GST obligations over a substantial period of time, in itself would not lead to a finding that the director had breached their director’s duties, where the company was eventually liquidated. The liquidators had alleged that the director had traded while insolvent, had acted without due care and skill, and had failed to keep proper accounting records, and consequently he must have been in breach of his directors duties. However the appeal was dismissed on the basis, that without further evidence (which had not been provided to the Court), a general proposition that a failure by a director to account for GST over a substantial period where the company was subsequently liquidated, was on its own sufficient to establish a breach of duties, could not be accepted. In the words of the Court, it was an “unattractive” proposition that continued trading while not paying GST should lead to a liability for a breach of director’s duties. Income tax legislation permits IR to determine an amount or proportion of any schedular payment that is considered to be exempt income, on the basis the amount is deemed to be expenditure incurred that is exempt from income tax. In this respect, IR has released a recent determination that applies to honoraria paid to volunteers of the Royal NZ Plunket Trust. In accordance with the determination, which is to apply from 1st January 2018 to 31st March 2019, where honoraria is paid to a volunteer to reimburse that person for any expenditure they had incurred in carrying out Plunket related activities, up to $800 per tax year will be treated as expenditure incurred in the production of that payment, thereby resulting in only amounts in excess of that threshold being subject to withholding tax. Should the volunteer receive reimbursements in addition to honoraria for expenditure they have incurred, then those amounts will also count towards the $800 threshold. The Taxation (Annual Rates for 2018-19, Modernising Tax Administration, and Remedial Matters) Bill has been reported back to Parliament by the FEC. You may recall the Bill was introduced in June last year, and is focussed on making tax simpler and easier for individuals, predominantly via the simplification of various rules and processes. new KiwiSaver employee contribution rates of 6% and 10%. Since the Bill was introduced, a number of SOP’s have been added, including one to amend the rules in respect of non-profit bodies who are selling goods or services for which they have received GST input tax deductions for. Present legislation in this regard, potentially provides a loophole for the non-profit body to avoid paying GST on an asset sale, the asset for which the non-profit has been able to claim a GST input tax deduction previously. One change to the Bill, which you could argue is quite reassuring, is the removal of an intended provision which would have permitted the Commissioner of IR to make minor legislative changes without having to go through the parliamentary process. The FEC was nervous about the prospect for Parliament’s law-making authority to lose some of its respect as a result of this amendment, and consequently the Committee has recommended that further consultation should be undertaken with the Legislation Design and Advisory Committee, post which the law change proposal could again be submitted to the Committee for consideration. Simplification of the tax system for individual taxpayers with a view to removing unnecessary compliance costs, via proposals for IR to be more pro-active in ensuring correct tax codes are used throughout the year, the use of pre-populated accounts by IR (removing the existing IR3’s and PTS), resulting in automatic year end processing for some taxpayers (including issuing refunds) where IR forms a view all required reportable income has been obtained, and the ability for taxpayers to electronically file (via MyIR) donation receipts throughout the year as received (so they are not overlooked), with an automatic year-end refund issue. Introduction of a new short process rulings system, providing greater access to an IR binding ruling for small to medium sized businesses – have gross income below a defined threshold, removal of need to state both the taxation laws and the propositions of law to which the ruling is sought, and reduced application and hourly rate fees. There are also proposals to extend the scope of binding rulings, including allowing factual questions e.g. a person’s tax residency status, or ruling on a taxpayer’s purpose in some cases, which under the present law is prohibited. Changing the current criteria for determining whether an error can be included in a subsequent tax return to a combination of both a monetary ($10,000) and materiality threshold (2% taxable income or GST output tax liability) where the error is equal to or less than both thresholds. The present $1,000 threshold would also remain, applying automatically without the new qualifications. The ability to elect into the new AIM (accounting income method) provisional tax method during an income year. This will be allowed where the taxpayer is presently using either the standard option or GST ratio method, and have made all their required payments under the prior method at the time of election into AIM. KiwiSaver changes including new contribution rates of 6% and 10%, reducing maximum contribution holiday period from 5 years to 1 year, and allowing over 65 year olds to opt-in to KiwiSaver. From the 2020-21 income year, most persons intending to apply for R&D tax credits for the coming income year, must obtain approval (General approval) for their core activities by the 7th day of the second month post the commencement of the income year in which the core activities will be undertaken. General approval can last for up to 3 years. Offshore suppliers would be exempt from the requirement to provide details of a fully functional NZ bank account when applying for an IRD number. Note that the definition of residential land is not limited to land in NZ. The Bill also includes a number of remedial amendments for social policy (student loans for example) and other reasons, however one should take note of the new provision that will deem a beneficiary of a trust who has a credit current account balance of less than $25,000, where the trustees do not pay the beneficiary interest (of at least the FBT prescribed rates), not to be a settlor of the trust. Consequently, where the beneficiary has a credit current account balance of greater than $25,000, upon which they do not receive interest from the trustees, IR’s likely view is that the beneficiary will be deemed a settlor of the trust, which could affect that persons Working for Families credit entitlements, make them accountable for tax on the trustee income and potentially increase the number of persons deemed to be associated with the trust. Naturally as each of these three Bills progress on their journey through Parliamentary processes, I will keep you updated in future editions of AWIR. IR has released The National Standard Costs for Specified Livestock Determination 2019. The determination can be used by any taxpayer electing to value their livestock on hand at year end, under the national standard cost scheme for the 2018/19 income year. If you would like to receive these updates directly to your mail inbox, you can subscribe by clicking here.